Kip McGrath Doncaster North was open in 2004 and assists children and adults who need support with their learning. Students come from the surrounding areas of South and West Yorkshire. 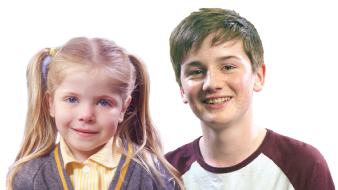 Whether your child is struggling, aiming for an A or needs a challenge we can help. Each student is provided with an individual study programme. Our centre has all the facilities expected of a modern tuition centre as well as providing a stimulating learning environment. The centre owner Keith Sheppard and all 8 teachers are fully qualified with enhanced DBS checked and are passionate about helping students achieve their full potential. Our teacher’s specialisms cover English and Maths. The centre is OFSTED registered which allows parents to use Childcare vouchers or Working Tax Credits to help cover the tuition fees. Conveniently situated near McDonalds on the A638. You will find ample free parking in front of the centre.